So many new polishes I don't know where to start. But I had to start somewhere and the sun was out, which means holos! This is Ludurana Superior from the Aurora Boreal collection. The collection has six holos and six multichromes. I'm going to alternate a holo and a multichrome each day. Superior is a yellow gold holo. The particles in this look very spectraflairesque. 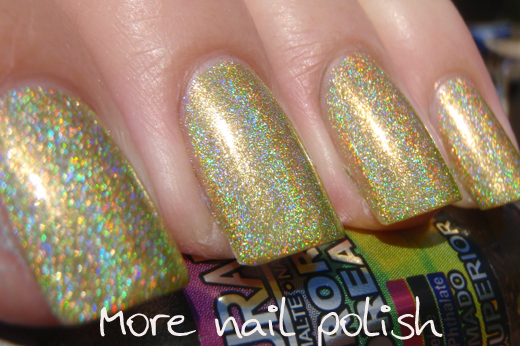 That is, this polish would match in well with the Ozotic holos. 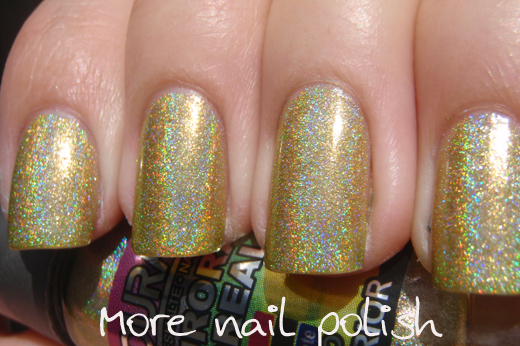 The colour is very simiar to China Glaze L8R G8R from OMG Collection, but the holo effect is completely different. This was three coats, you could definitely get away with two coats, but I wanted to ensure a nice rich bottle colour for my photos. Application was smooth and easy, no bald spots, but I did notice that I got a few tiny bubbles as it dried. I never get bubbles so I'm not sure what that was about. 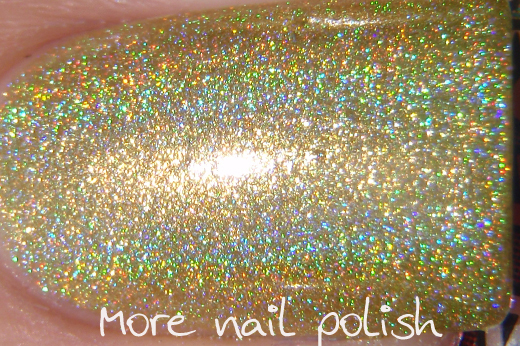 A coat of Seche Vite quicky covered the bubbles and also didn't dull the holo effect. I got this polish from a swap, but you can purchase through llarowe. Nice polish, and undefinable color: green or yellow? I like it either way! The Rafah is a love, and good that these beautiful went to your birthday. As bad as our husbands are away on special dates right? It usually bad, but those dates is worse, I guess! This e is one of Luduranas I like most. Would look horrible on me, but I love it on you! i love this hole collection! Hi, dear! 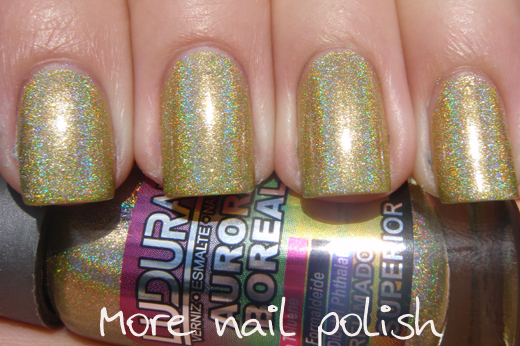 I love Ludurana... one of my favorite nail polish brands! I have many of them but not this amazing color... Damn beautiful indeed!